These weeks have flown by even more so than the first few. My friend from New Zealand came and surprised us, safe to say I cried like a baby. We also travelled 440 miles in a day, three children in the car for almost 8 hours was an experience, a good one though. They were all amazing. I've labelled all Paige's uniform and just need to get her another skirt. Both the older two have new coats and shoes for school/nursery and are ready to go. I have loved having them off but it is a long time and I think they are a little bored now. 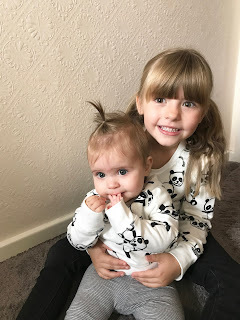 We haven't done half as much as I wanted to these summer holidays but I think because of chicken pox that was a big chunk of time that we just couldn't really leave the house! 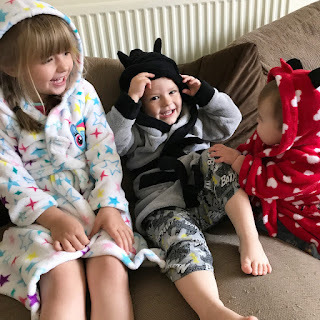 I have managed to get so many pictures of the three of them together and that is one thing that I have loved. Usually I will only manage to get pictures of them all once a month for the sibling project that I join in with so the holidays really gave me loads of opportunities to get group pictures. I will be sad when they go back to school but I am looking forward to the routine and structure that school and nursery brings. Have you enjoyed the holidays?